Publishers Marketplace (PM) – this review explores the pros/cons of this online directory. PM isn’t as well known as some of the other literary agency directories, but that’s only because it’s meant primarily for publishing insiders. And that’s one of the reasons it’s so valuable. Scroll below to learn more and see a sample listing from Publishers Marketplace. This article is part of a 9-part series to help you find the best Directory of Literary Agents for Your Fiction or Nonfiction Book. Publishers Marketplace – What Is It? Publishers Marketplace is an online community helping publishing professionals (including aspiring authors) find critical information about other publishing professionals (including literary agents). 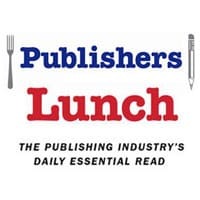 Driven in large part by Publishers Lunch, the most widely read daily dossier in publishing and known as “publishing’s essential daily read.” Publishers Marketplace is popular because of the 40,000 publishing professionals who read Lunch every day. Publishers Marketplace is a great resource for authors. Not only is it free to use (for agency research), but you’ll also find agency information there that you won’t find anywhere else. Publishers Marketplace isn’t the most comprehensive directory of literary agents, but it has profiles for some agents that you won’t even find elsewhere (including official literary agency websites). Robert Gottlieb, literary agent and chairman of the prestigious Trident Media Group is a perfect example. You can see his official Publishers Marketplace listing below. I also know of some literary agents that, surprisingly, are very successful but don’t have websites. Some of those literary agents do have pages set up at Publishers Marketplace. Just make sure you keep in mind the fact that there are also many disadvantages to using Publishers Marketplace for your literary agent research. I’ll explain those in just a moment. But first, register for free access to our Directory of Literary Agents. It’s the most comprehensive (and accurate) list of literary agents in the world… plus it’s the easiest to use. Simply enter your first name and email address for free, instant access. Publishers Marketplace for book agent research. Publishers Marketplace is a great resource, but less than half of all literary agents have listings there. And, Publishers Marketplace only gives literary agents 21 book genres or categories to choose from when specifying areas of interest (in contrast, our Directory of Book Agents gives you 116 book genres or categories to choose from). Robert Gottlieb was born and raised in New York City. After graduating in 1976 from Elmira College with a Bachelor of Arts degree he began his illustrious career in the mailroom of the William Morris Agency as part of the company’s Agent in Training Program. In 1977, Gottlieb became a department assistant in WMA’s literary department and shortly thereafter began working with the head of the department, Owen Laster. Five years later he became a literary agent, discovered Tom Clancy in the early eighties, and in 1989 was promoted to Senior Vice President, becoming one of the youngest agents to ever head the WMA Literary Department. He was then elected to the Board of Directors and became Executive Vice President in 1992. After 24 years at the William Morris Agency, Gottlieb started Trident Media Group, LLC in September 2000 where he now serves as Chairman. Robert Gottlieb presently represents many best-selling authors. He has consulted with the Vatican and the Russian Cultural Ministry in connection with intellectual property rights. He attends the London Book Fair and Frankfurt Book Fair each year with his team of foreign rights agents and oversees the foreign rights department as well at Trident. Mr. Gottlieb built his stellar reputation by being the first and the most effective literary agent to brand authors. He works across all genres, in both fiction and non-fiction. His successes over the years include international bestselling authors Tom Clancy, Dean Koontz and Janet Evanovich. He continues to grow his list of authors which currently include international bestselling authors Deepak Chopra, Catherine Coulter, Elizabeth George, Sherrilyn Kenyon, Kat Martin, Mary Alice Monroe, and Karen Robards. #1 Bestselling author Sherrilyn Kenyon with Dianna Love’s THE BELADOR CODE, two books in an urban fantasy thriller series in which a league of international warriors with extraordinary abilities rise up to save mankind from supernatural terrorists, in a major deal, to Louise Burke and Lauren McKenna at Pocket Books (North American rights). Please do not query multiple agents at Trident, and please do not email attachments. Don’t let Publishers Marketplace be your main resource when looking for literary agents. Don’t let it be your only resource, either. Click here to visit the Publishers Marketplace website. and learn about Literary Marketplace.